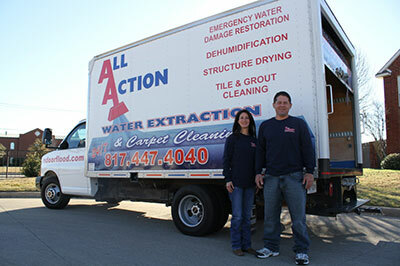 Looking to contact us at All Action Water Extraction & Carpet Cleaning? Our family-owned water damage repair and upholstery / carpet cleaning company been providing emergency flood clean up and carpet cleaning services for 20 years throughout Johnson & Tarrant County. You can reach us 24 hours a day, 7 days a week. For emergency assistance, give us a call at (817) 829-6628. Or, to receive a call-back, please fill out our contact form on this page! Our team knows the carpet cleaning & flood repair profession very well, and our previous clients appreciate the thorough work we do. Across Google Reviews, Yelp, and Facebook, we average a rating of 5 Stars and are very pleased to uphold such a level of service. If you are a new visitor here on our website, we hope to earn your business and demonstrate our impeccable level of home upholstery cleaning / water damage repair services to you! Though we are popularly employed throughout cities of both Johnson County & Tarrant County, our team also services those throughout the DFW Metroplex! Below we have listed some of our most popular cities throughout our service area. You can view our full list here!